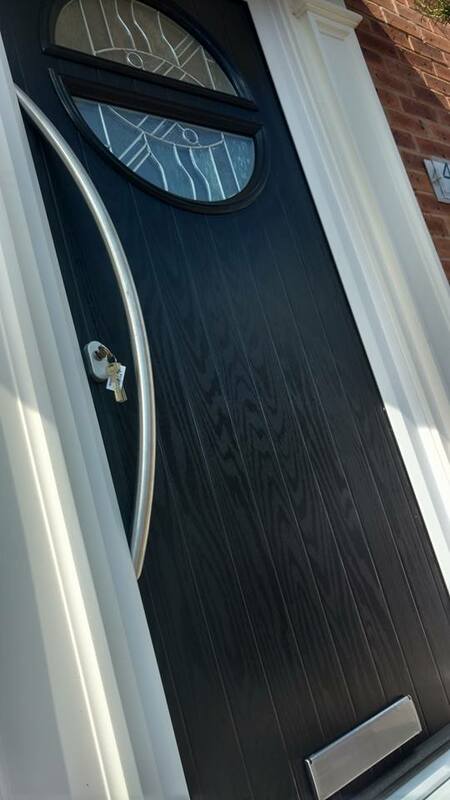 A few days ago our team visited Clipstone to fit a brand new composite door designed by the customer using our in-depth yet easy to use design a door tool. 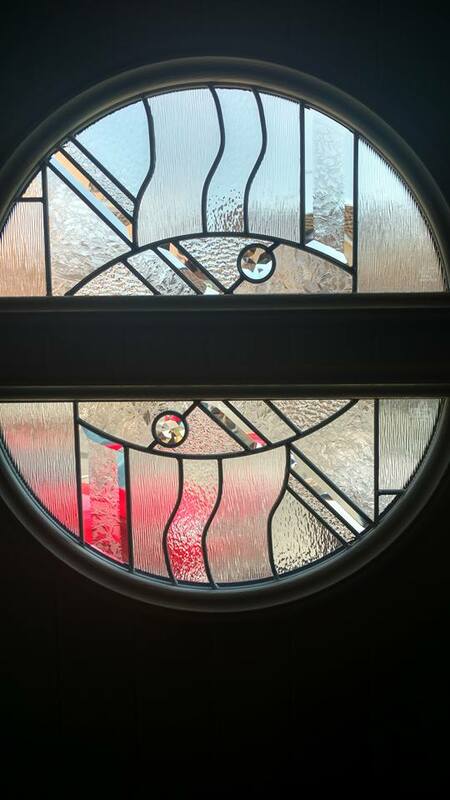 The customer chose to a stylish, with a traditional yet modern design with a Bow door handle. 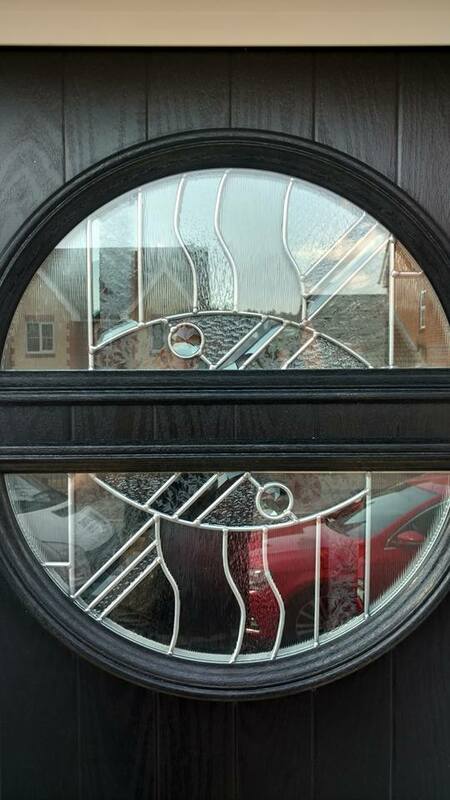 The composite door fitted in Clipstone was a�classic black door, and also featured an art abstract embroidery style design on the glass. 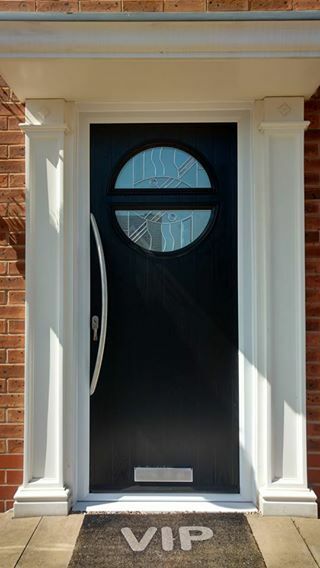 Composite doors bring�great benefits to you and your home, as not only are they much more secure than UPVC doors, but they are much more energy efficient too, which can help bring down your energy bills and keep your home a comfortable temperature. 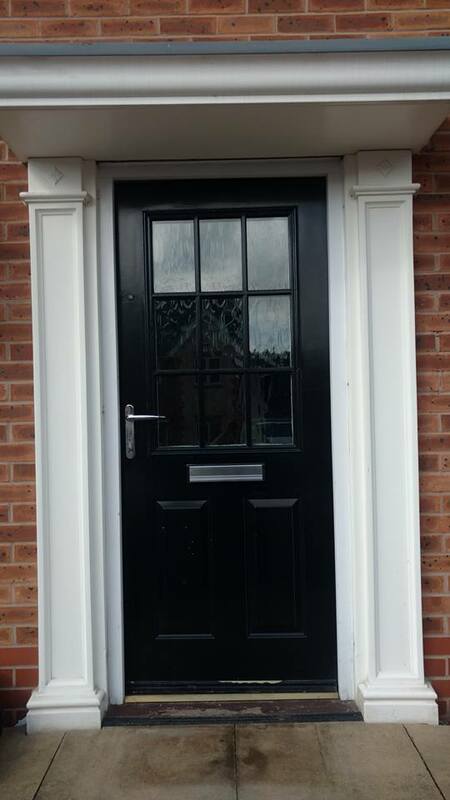 See below for images of the lovely new door fitted in Clipstone by the Bespoke Doors team. For more information regarding the genuine door stop doors fitted in Clipstone by our team, please don’t hesitate to give us a call today on 01623325000, or why not give our design a door tool a go and see what you can come up with. Our prices are the lowest in the area, starting from just �620, and fitting and surveying are included in the cost, so you pay what you see with no hidden extras. We also dispose of your old front door for you for free.